This lovely bride Isabelle, contacted me through email and soon we figured out we are both Dutch which was easier in some ways to communicate. She met her James while she lived in Spain and moved to the UK to be with the love of her life. These two are so cute together and their two boys are gorgeous kids. 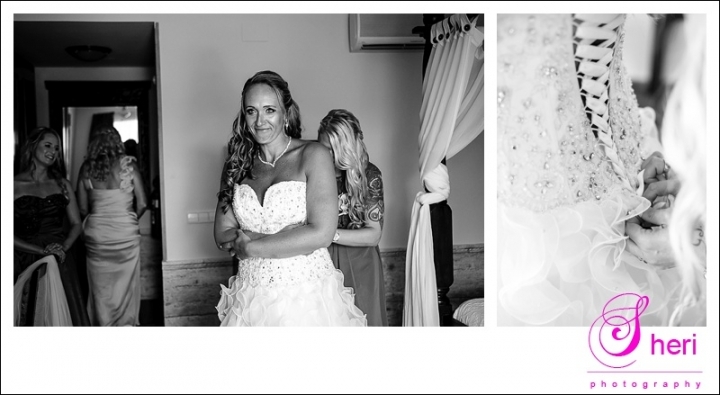 Back to the wedding day, she got ready with her bridesmaids and mum at wedding venue La Plantación in Finestrat. 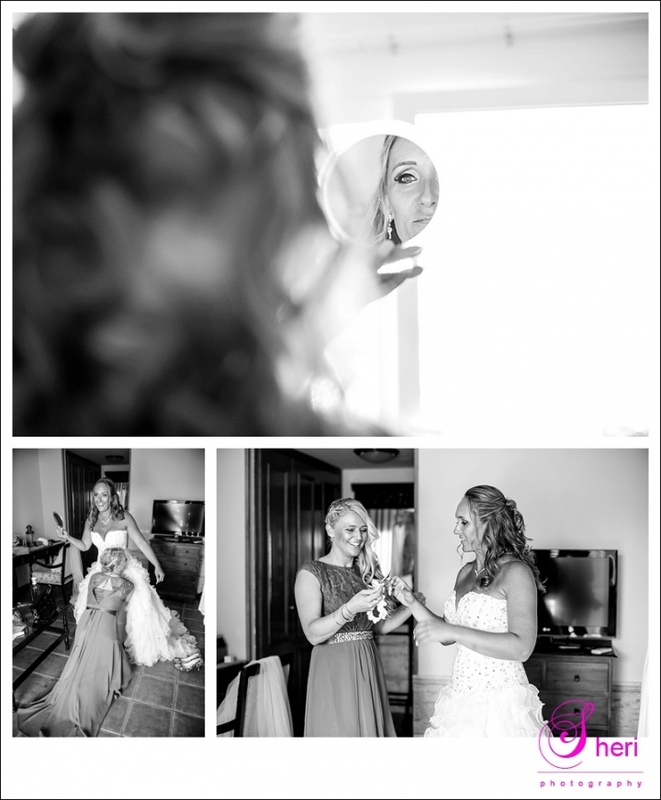 She wore a gorgeous dress and blue heels to match the bridesmaids dresses. This same venue was used for the ceremony, reception, dinner and dance. The ceremony area in the garden was lovely decorated by the local florist and the ceremony was conducted by celebrant Susan Coley. During the ceremony their son Dani spoke beautiful words which made most people cry. The rest of the day was filled with love, laughter, happy people and fun. Just as it should be. Have a look below for some of their pictures, hope you like them. James and Isabelle, I wish you all the best in the world, you have a lovely family and a good bunch of friends!